The Apostle Paul has a few carefully placed rhetorical questions for those who are teetering on doubting the possibility of a resurrection. In 1 Corinthians 15:12 he says, “But it is preached that Christ has been raised from the dead, how can some of you say that there is no resurrection of the dead?” Additionally, in verse 32 of that same chapter he says, “If I fought wild beasts in Ephesus for merely human reasons, what have I gained?” If there is no resurrection of the dead, then the call to make disciples, the preaching of the good news and its suffering and the future hope are all made invalid. 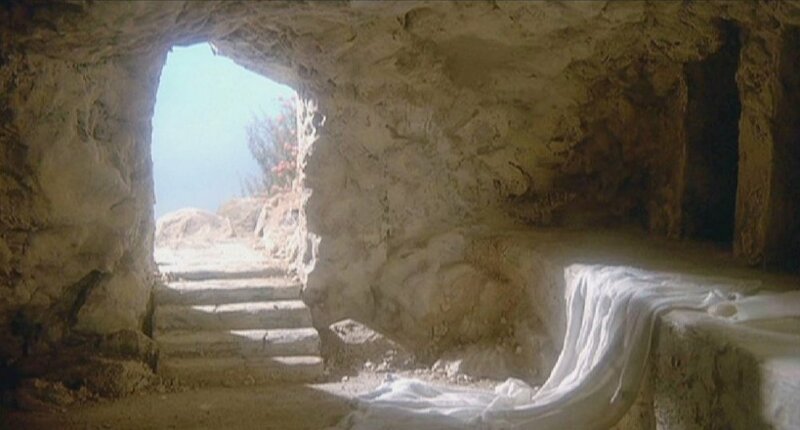 Without the resurrection our faith, the message of hope through the gospel of Jesus Christ is dead on arrival. The resurrection of Jesus Christ stands as a transformative event in human history. His act of conquering sin and death by exiting the grave into life authenticates the message that lives, families and communities can change. Although the future hope of eternity is on the minds of those who know Christ, the calling is to take and to be good news in whatever context you find yourself. In Christendom, we sometimes neglect reaching our world because we are so focused on personal piety. Those that know Christ must know that His death, burial and resurrection have destroyed the power of sin. (1 Corinthians 15:56) We look forward to sin and death finally being done away with. Currently, we enjoy the blessings of freedom in Christ, this should lead us to communicate resurrection to dead communities. His finished work on the cross ensures that sin and death will ultimately be destroyed. (Colossians 2:15; Hebrews 2:14-15) Although our Lord is risen and seated in glory, we still live in communities where hunger is an everyday occurrence, poor schools abounds, single parents still scrap to survive and injustice is a common reality. (Hebrews 4:14-15) These communal ills were kicked off with the curse and continue because humanity continues to choose to operate in conflict with the Creator. If we are assured of His shed blood and His resurrection power , we are obligated to communicate life beyond death. The life after death reality can show up in communities oppressed with violence, misplaced affections and pervasive blight. Those that know Christ must convey through words and deeds that life after death is indeed possible because He lives. It seems incumbent on Christians to infuse into their everyday dealings the death-to-life motif. (Philippians 2:5-11) We often times see sin and its results within our context. Many will simply sound a call to go back to the way things used to be in the ‘good ole days’. When we repeat this tired mantra we unsuspectingly neglect the opportunity through Christ to move forward. Considering the sequence of this Holy Weekend, the gospel calls us to move forward into Saturday, confident that our hope is near. Day three represents a hope of new life and a New Jerusalem where Friday’s work comes full circle. The good news is displayed when we replicate the ministry of Christ as outlined in Luke 4:18-21 in our various surroundings. (2 Corinthians 5:20) The New Jerusalem of the Apostle John’s Patmos vision is yet future. If you are like me then you find yourself anticipating future glory but yet keeping in mind that we are not released from our present duties here on earth. A picture of hope is a city without the presence and power of sin. There are various interpretative views on Revelation 21 and the new city of Jerusalem. One thing is irrefutable, specifically that a city is referenced as a place and time of healing and summation. Eschaton refers to the yet future consummation of human history through the return of Jesus Christ. Here it directly refers to His rule and reign over all things. Contextualization is defined in relation to the church, “To be faithful to its calling the church must be contextual, that is, it must be culturally relevant within a specific setting. The church relates constantly and dynamically both to the gospel and to its contextual reality.” P. 18, Guder, D. L. (1998). Mission Church, A Vision for the Sending of the Church in North America. Grand Rapids, Michigan: Wm. B. Eerdmans Publishing Co. Personal piety is generally understood to be a focus on one’s personal growth through a set of practices. (e.g., prayer, scripture reading, meditation) It seems to be a trend that many neglect matters of communal and social justice in order to fulfill their religious duties not recognizing that those duties ought to include reaching the “least of these” as Jesus describes in Matthew 25:45.